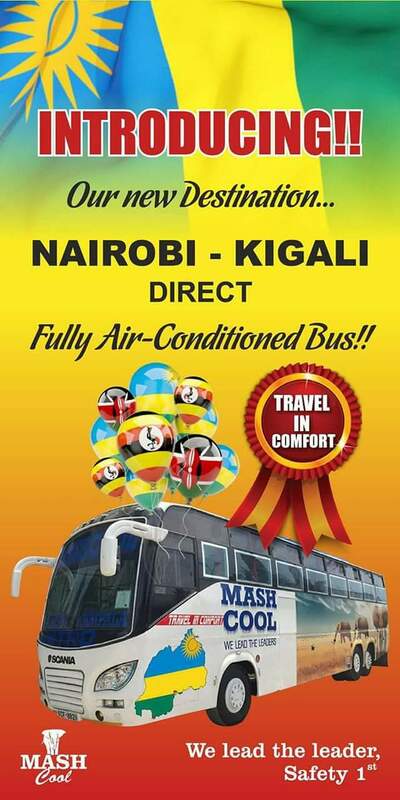 Mash EA of recent introduced its new route to Kigali, Rwanda. The company which is trusted in safety of its travelers after receiving an award promises its Kigali travelers with fully air conditioned buses to the route. See Also: Download Bus Kenya App From Play Store To Make Online Bookings. 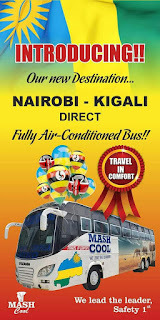 Travel to Kigali direct with Mash EA and enjoy the power of AC throughout the 23 hours drive through Uganda to Rwanda. Book now to Kigali by visiting any Mash offices near you. Mash EA, We Lead The Leaders..